What's symptoms of root rot ? Sometimes If a plant is overwatered,it just doesn’t seem to recover afterwards.The leaves start to get dull and turn yellow and the whole plant seems to be on a slippery slope towards death.You try to correct the watering application but nothing seems to help. Maybe your plant is suffering from root rot. First, what’s root rot ? Root rot have two sources—one is a prolonged exposure to overwatered conditions that can cause some of the roots to die back due to a lack of oxygen. As they die, they can start to decay or rot away. The rot can then spread to healthier roots and kill them as well,even if the soil conditions are corrected. The other source can be from a fungus in the soil.The fungus may lay dormant in soil indefinitely and then may suddenly flourish when the plants is overwatered once or twice. The root rot fungus attacks the roots and causes them to die and rot away. If you are unsure whether your plant has root rot,you may be wondering what does root rot look like?If the plant is slowly wilting and the leaves are turningyellow for seemingly unknown reasons,you will wat to check the roots. 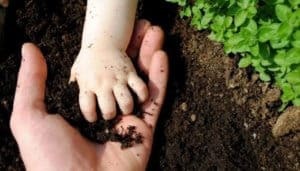 Remove the plant from the soil an feel the roots,The roots affected by root rot will look black and will feel mushy.Affected roots mayliterally fall off the plant when you touch them.Healthy roots may be black or pale,but they will feel firm and pliable. Root rot is mainly harmful to seedlings, and can also occur in adult stage. In the early stage of the disease, only individual roots and fibrous roots are susceptible, and gradually expand to the main root. After the main root is ill, the early plants do not show symptoms, and as the degree of root rot increases, the function of absorbing water and nutrients gradually weakens. Because the nutrient supply is in short supply, the new leaves first turn yellow. When the light is strong and the evaporation is large before and after noon, the upper leaves of the plants appear to be wilting, but they can recover at night. When the condition is serious, the wilting condition cannot be restored at night, and the whole leaves are yellow and withered. At this time, the root bark became brown and separated from the pith, and finally the whole plant died. Root rot is a fungal disease. The low temperature and high humidity of the seedbed and insufficient light are the main environmental conditions that cause the disease. The soil in the nursery field is sticky, easy to form, and poorly ventilated, which causes the growth and development of the root system to be blocked and is also prone to disease. In addition, after the roots are damaged by underground pests and nematodes, there are many wounds, which are beneficial to the invasion of pathogenic bacteria. Root rot can be caused by various pathogens such as Pythium, Fusarium, and Phytophthora. The pathogens overwinter in the soil or on the diseased body, becoming the main source of initial infection in the next year. The pathogen invades from the root or root wound and spreads and spreads through rainwater or irrigation water. How to fix root rot ?